All work is guaranteed and new installations are certified under BS7671 Part P regulations where required. New sockets? Do you get frustrated with all those extension leads snaking across the floor or not quite reaching? With more and more electrical items coming in to the home, extension leads can easily become over used which can be dangerous. The best solution is to have a few more sockets professionally installed. Repairs needed? Annoyed by damaged lights or switches, outside lights not working, sockets in the wrong places? Have you had new wiring put in that has been done badly? Poorly installed new electrical work can be worse than 30+ year old installations. 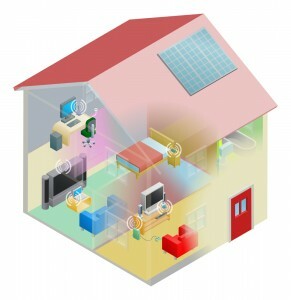 We safety test and remedy any electrical problems that you may be having. Moving house? Just bought a new property and are unsure over the condition of your electrical installation? Our electricians use state-of-the-art equipment to test and repair any faults and upgrade your system to meet current standards. Consumer units? Worried about the age of your consumer unit? Is it in good condition or is there any damage? Does it have test labels or use correct mcbs (circuit breakers)? If you are not sure, give us a call on 0208 406 9834 for help and advice. Security lighting? Do you want the best security lighting fitted or just need a few more lamps in the garden or shed? Call in the professionals to install all of your garden lighting and outside wiring. Internet wiring? We’ll wire everything up for you and have your system up and running in double quick time. Home Cinema? Baffled by the choices? Unsure about how to wire it up efficiently? Leave it to South London Electricians, we can do the whole job from sourcing a suitable TV bracket to multimedia distribution wiring. New kitchen wiring – With DIY stores installing kitchens, it’s best that you employ your own electrician as kitchen fitters are not always qualified electricians. We will check that the existing circuits can cope with your new equipment and that everything conforms to current safety standards where a kitchen fitter may not. 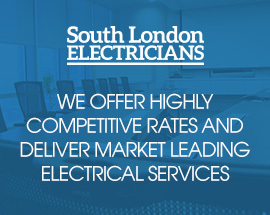 Our large team of fully qualified and registered electricians are available 24/7. We are registered with Check-a-Trade. If you can’t see the service you’re looking for above, call us on 0208 406 9834 for a free quote on all your domestic electrical needs.